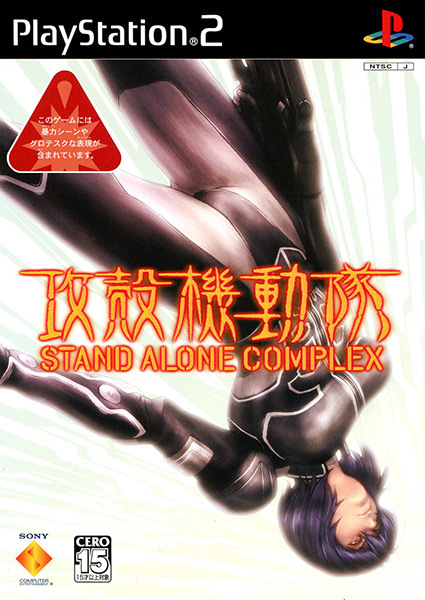 Or, if you prefer, Ghost in the Shell: Stand Alone Complex. A slightly idiosyncratic, slightly frustrating, but all-around really good action game based on the TV show sequel to the Masamune Shirow classic. 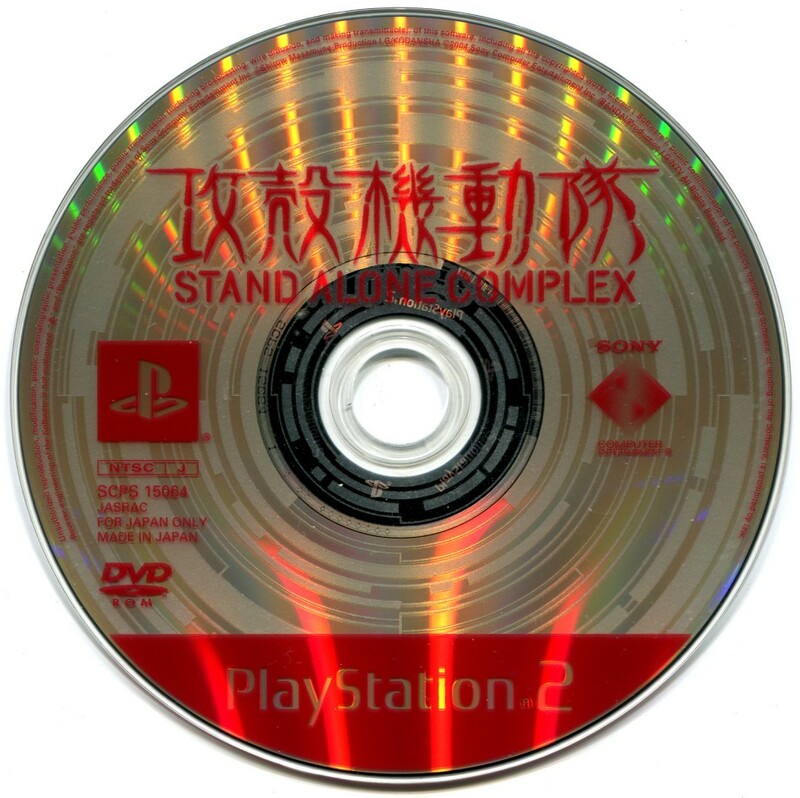 Not as original as the PS1 game -- you only pilot a Tachikoma for one stage, and it's a battle arena -- but definitely worth playing for any GITS fan. 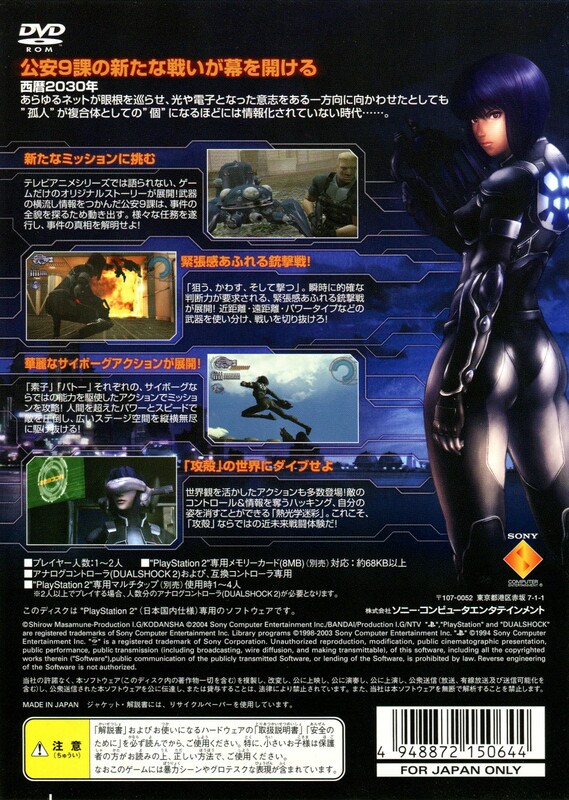 Particularly cool are the ability to hack into enemy brains and take control of them to shoot the stuffing out of their allies, and the insane acrobatics the Major can pull off. Got a worldwide release, and the English localization is quite well-done. The Tachikoma in particular have some very memorable lines. Also seems to have been the technical basis for the poorly-received but still quite enjoyable Bullet Witch. The PSP game of the same title is a completely different game from a different developer, and I've heard it's best left ignored.